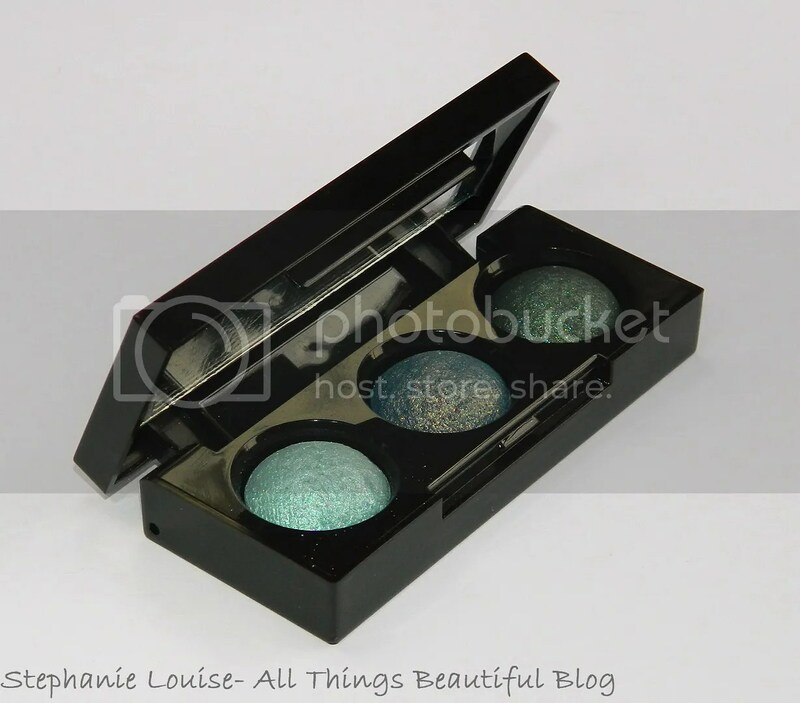 Laura Mercier Petite Baked Eye Colour Bonbons in Emerald Trio Review, Swatches, & Eye Look! 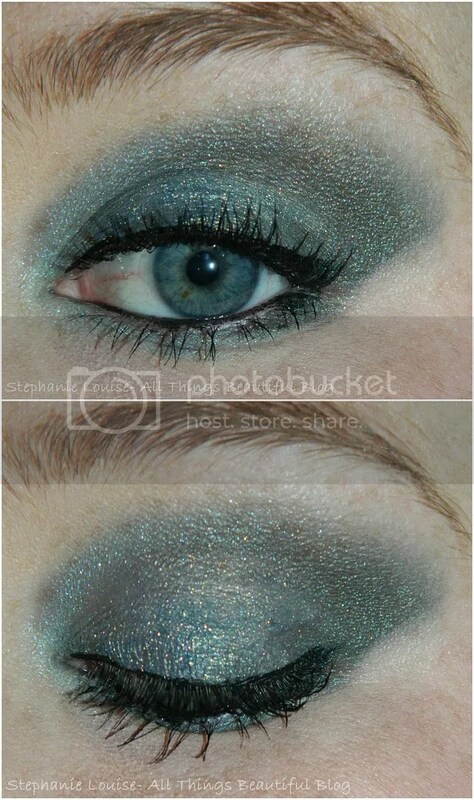 Eyeshadow: The kryptonite for me personally. I love blushes, highlighters, lip products…everything pretty much but lately I’ve come to realize eyeshadows are my “thing”. 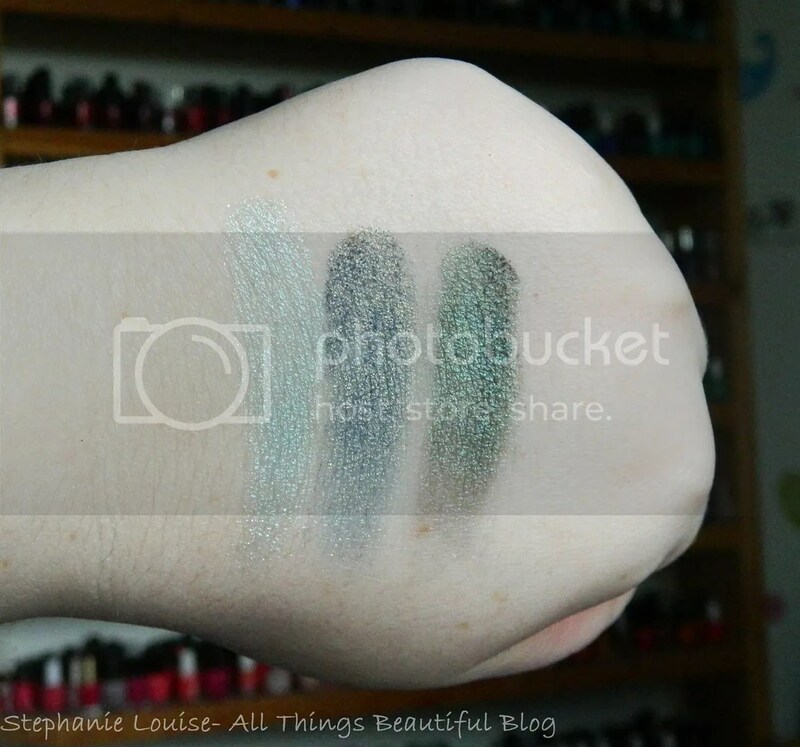 When the Laura Mercier Petite Baked Eye Colour Bonbons in the Emerald Trio (which is limited edition!) arrived on my doorstep…oh man I can’t even express how excited I was to see it in person. Pictures can’t even do these incredible shades justice…but I tried! 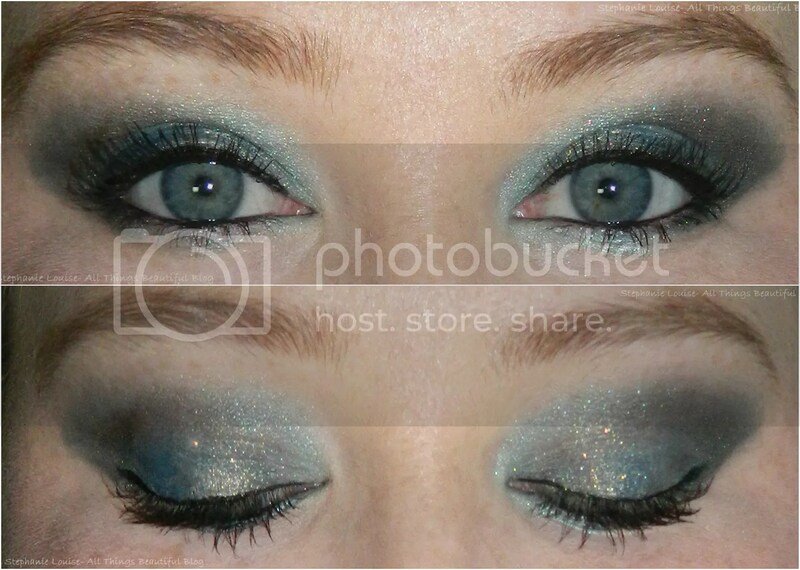 Also, I did an eye look which I’m totally in love with using these shades & I think it turned out lovely! Keep reading to check everything out! 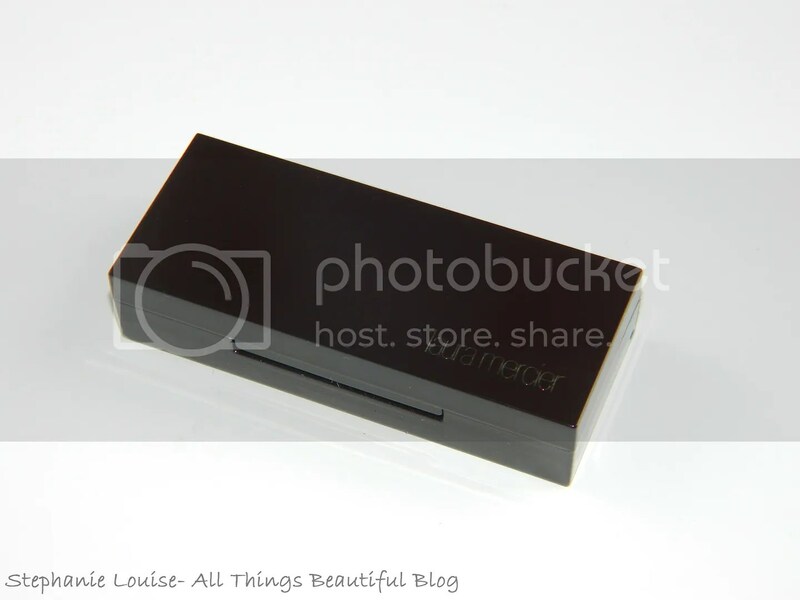 The trio of baked eyeshadows come housed in a sleek & very Laura Mercier-esque rectangle case which also has a mirror. On the back you have your basic information as well as the 3 shade names in the palette which is handy to refer to. Like I said, this is a limited edition trio but it is housed in the classic type packaging. From Laura Mercier: Dress up your holiday look this season with Laura Mercier’s Petite Baked Eye Colour Bonbons – Multi-Finish. Featuring three Baked Eye Colours in a range of finishes – from matte to shimmer – this petite and portable palette is the perfect way to take your look from day to night. For an even wash of colour, apply dry, or for more vibrant shimmer, simply dampen brush with water and apply wet. From left to right we have Aqua, Malachite, & Emerald. The first photo above…yeah that’s the opposite. Sorry about that ya’ll I had to hold it funny for a naturally lit shot. It is indeed winter here & I take what I can get! Aren’t they just gorgeous though? The shimmer on these…yum! 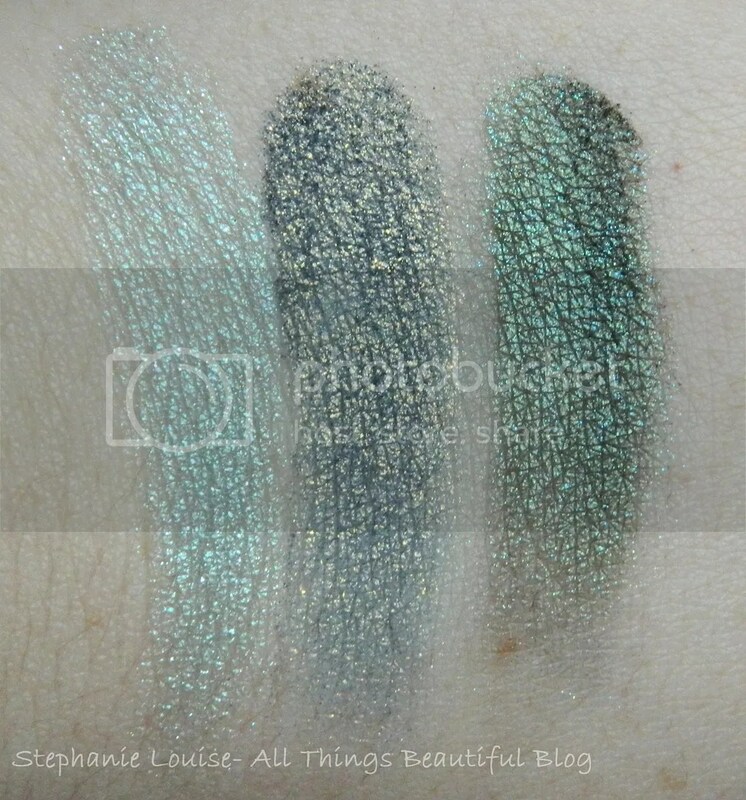 I chose to swatch these wet so you can see them intense plus I actually like them wet a bit more for the crazy pigment. Dry they’re lovely as well but they are much lighter. 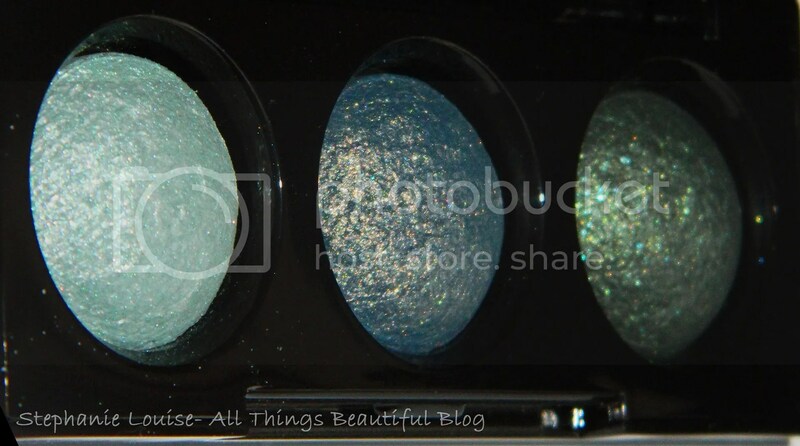 Aqua is an ultra light blue frost with a bit of micro glitter, I love this as a highlighter used wet or dry. Malachite is ridiculously lovely. I see the base as like a classic blue jean with golden shimmer that creates nearly a duochrome. Emerald is a deep emerald green shimmer with amazing pigmentation that looks smoky & absolutely packed with gorgeous light catching shimmer. I wanted to show a look that was a bit more dramatic (obviously these are awesome used separately or dry) so I went with a wet application over a primer. The only extra eyeshadow I used was a neutral, matte shade that matches my skintone for my highlight shade. 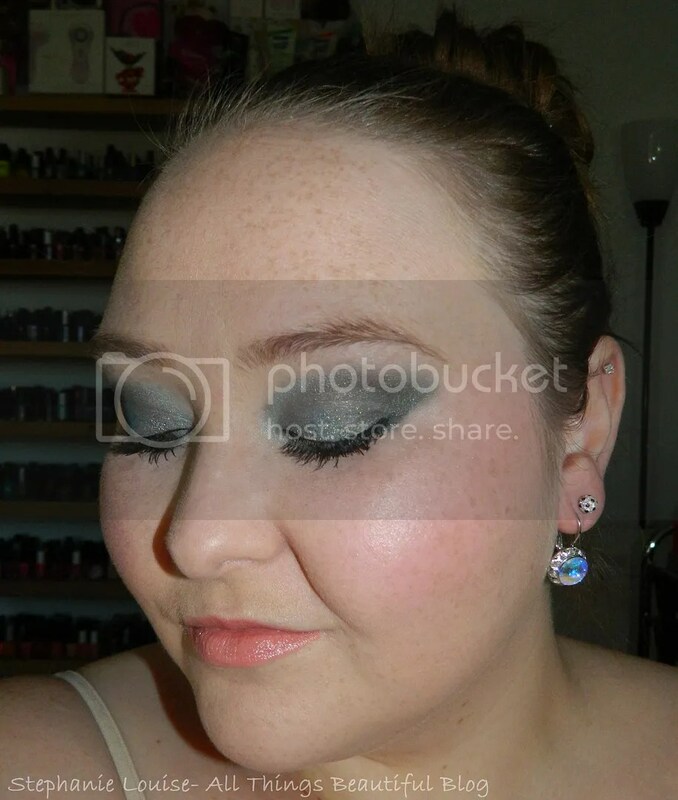 I also used my Laura Mercier Baked Matte Powder in Highlight which I reviewed here as my highlight. I’m wearing Laura Mercier Nouveau Weightless Lip Color in Coy which I reviewed along with other shades from the line here. I rock this lip color quite often in my day to day life! You’re probably sick of me wearing this beloved highlight like all the time but I don’t care because it is amazing! The Laura Mercier Petite Baked Eye Colour Bonbons in Emerald Trio is available for only $25 which I think is quite nice for such lovely shades. They also have an Amethyst Trio & a Bronze Trio available, also limited edition. You can purchase this trio from the Laura Mercier website, Nordstrom, Saks Fifth Avenue, & wherever you are able to find Laura Mercier limited edition collections. What do you think of this trio? Would you rock this kind of look for the holidays? 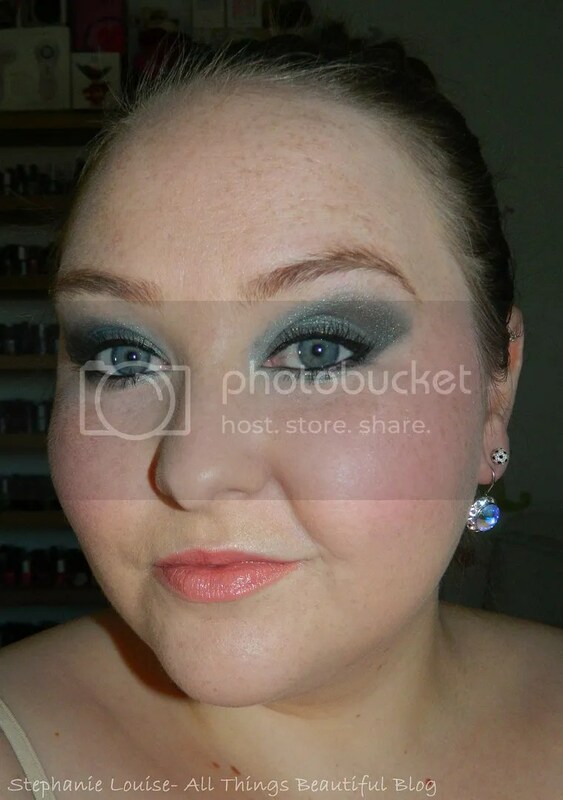 I think I might use Emerald as a smoky, effortless eyeliner!